For the past few months, the Capitals’ defensive corps has remained largely the same, with only the return of veteran Brooks Orpik from and loss of young rearguard Christian Djoos to injury, as well as the insertion of rookie Jonas Siegenthaler into the fold as the main changes to the group. However, with Djoos practicing this morning in a non-contact sweater and appearing close to a return to the lineup, the team will have to make a decision as to what direction they should go once the young Swede is ready for game action. Djoos has been out of the lineup since before the start of the new year after undergoing surgery on his thigh for an injury suffered in a December 11 game against the Detroit Red Wings. The former seventh-round pick has played in 28 games this season, recording four assists with a plus-6 rating while averaging 13:13 of ice time in his second season in the NHL. 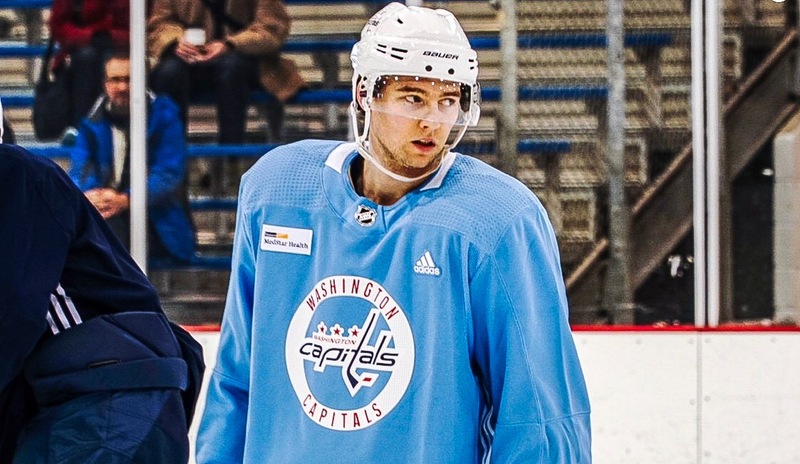 However, with an impending return likely coming in the near future, the Caps will have to make a decision to make space for him. And while that may sound clear cut and dry, it’s not exactly so. Since being recalled, Siegenthaler has played exceptionally well, recording four assists while averaging 14:13 minutes of ice time a night for Head Coach Todd Reirden, playing primarily on a third-pairing with Orpik. In just 20 games played, Siegenthaler has blocked 36 shots and has been on the ice for 12 Goals For to just five Goals Against. This level of play will make the decision even harder on General Manager Brian MacLellan. The Capitals have a number of potential decisions they could make upon Djoos’ return to the lineup. But instead of speculating, NoVa Caps is asking the readers what they believe the Caps should do? This entry was posted in Defense, Injuries, Lineups, News, NHL, Players, Washington Capitals and tagged Brian MacLellan, Christian Djoos, Injury, Lineup, Michael Fleetwood, News, Readers Poll, Roster Moves, Washington Capitals. Bookmark the permalink.